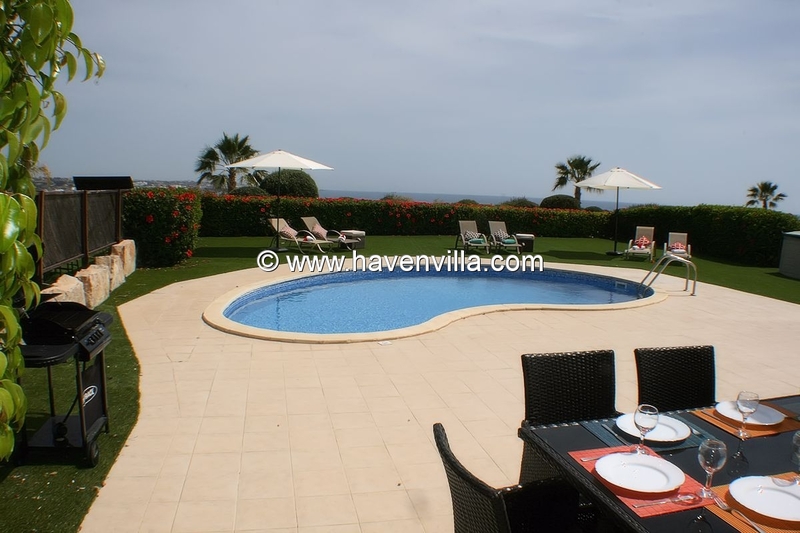 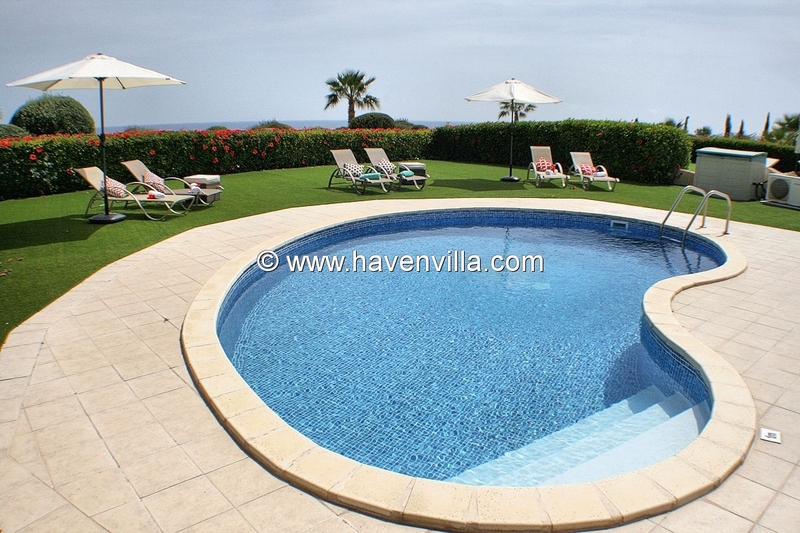 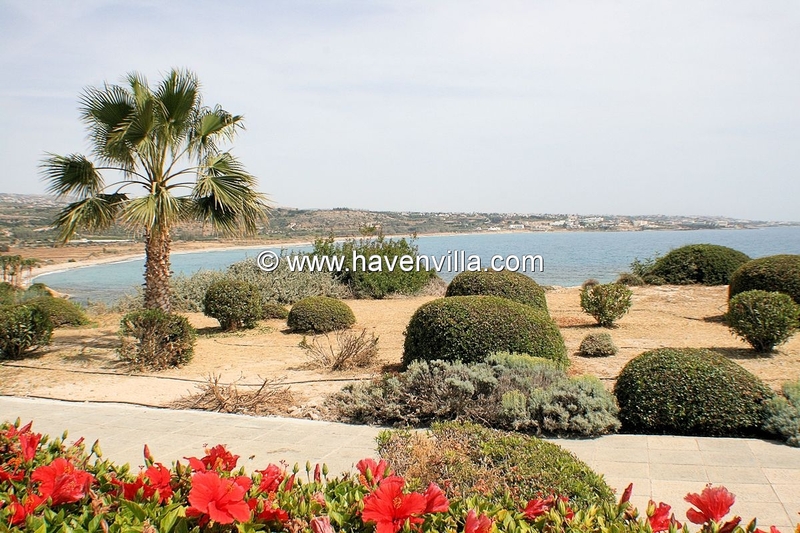 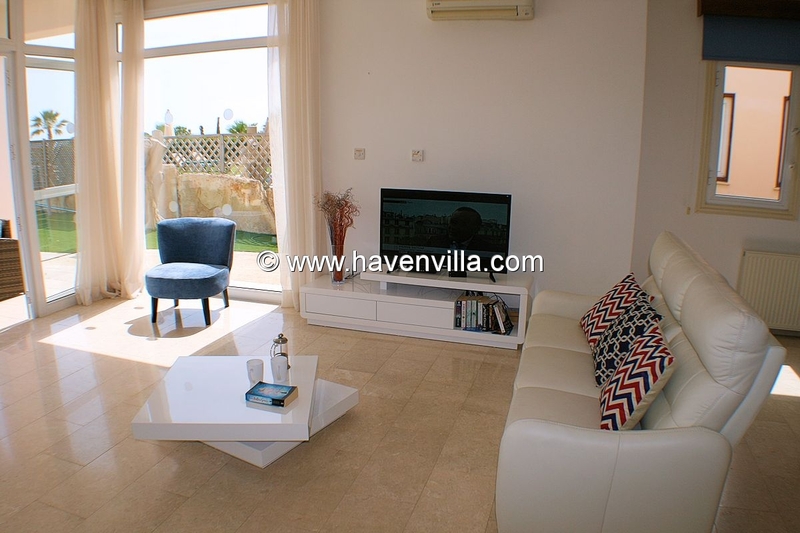 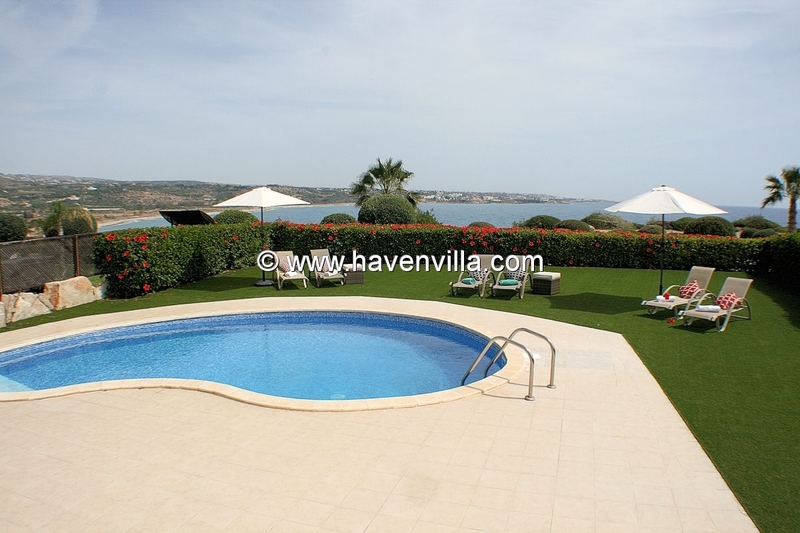 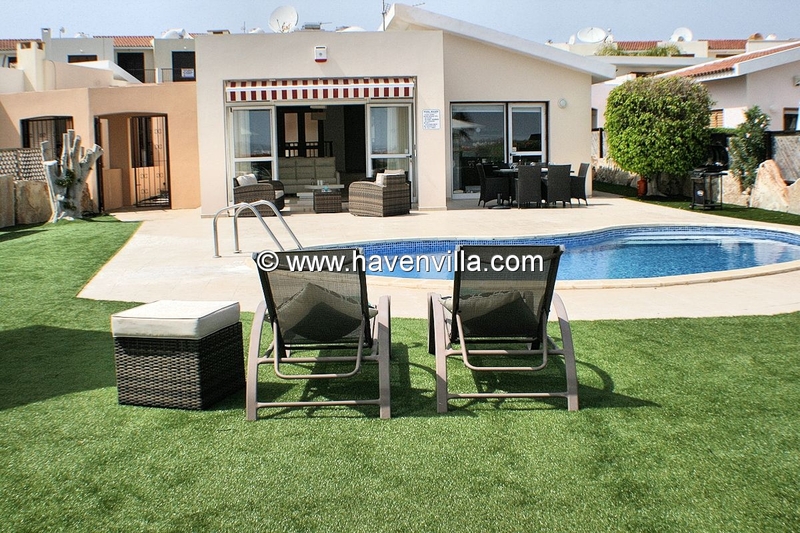 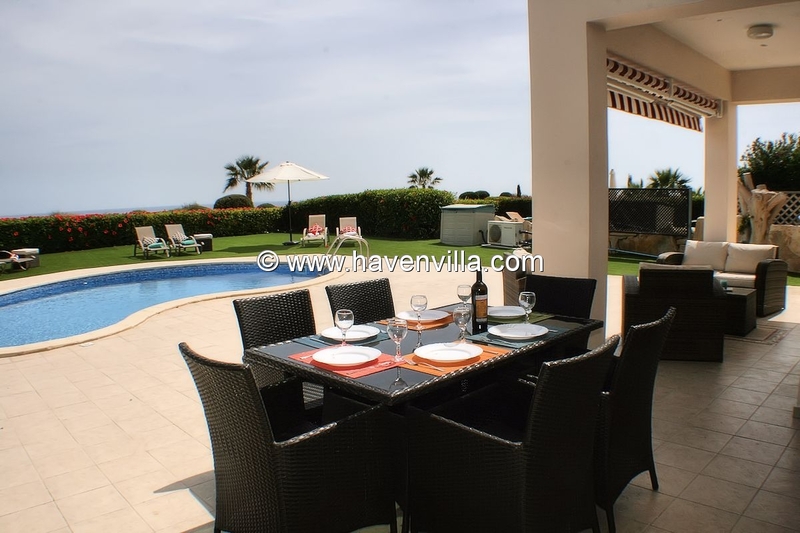 Holiday villa on the coast of Coral Bay in Paphos, Cyprus. 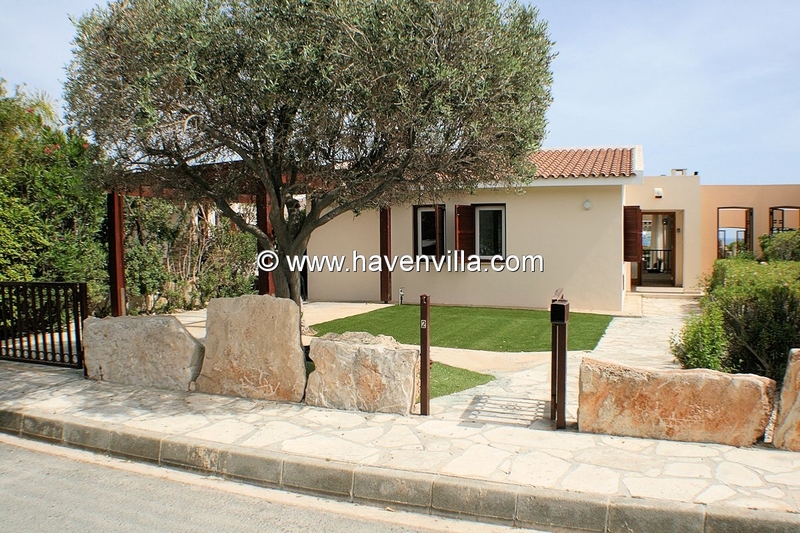 A holiday bungalow with 3 bedrooms and 2 bathrooms. 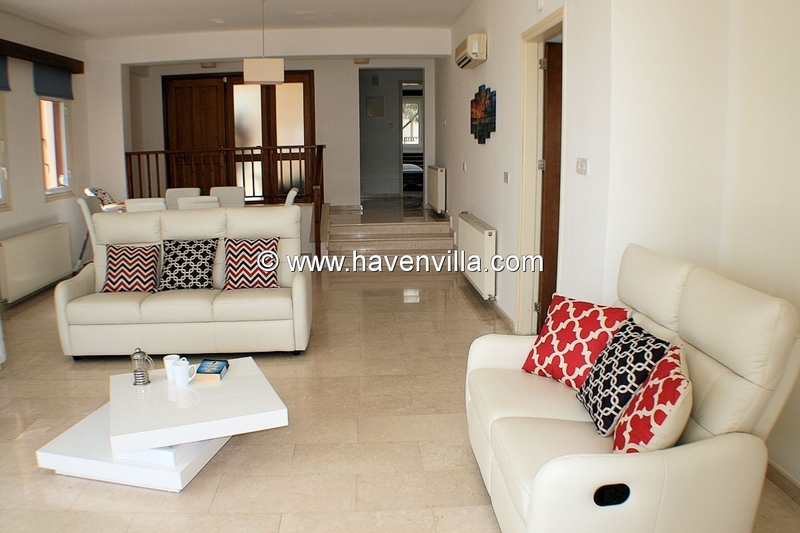 In the living room comfortable sofas for 6 persons, Flat screen TV and an android box with free British television channels, Wifi that is included for free and a dining table. 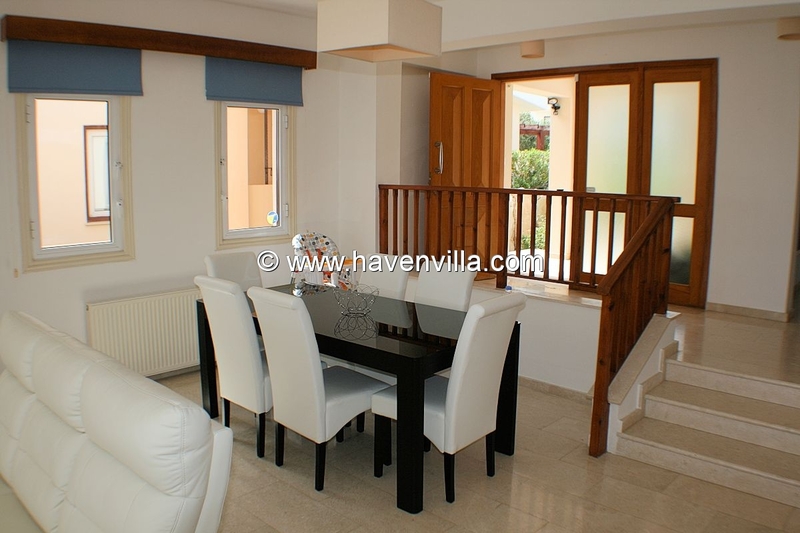 Fully equipped kitchen with, fridge/freezer, oven, hob, kettle, toaster, microwave, coffee maker, dish washer, washing machine. 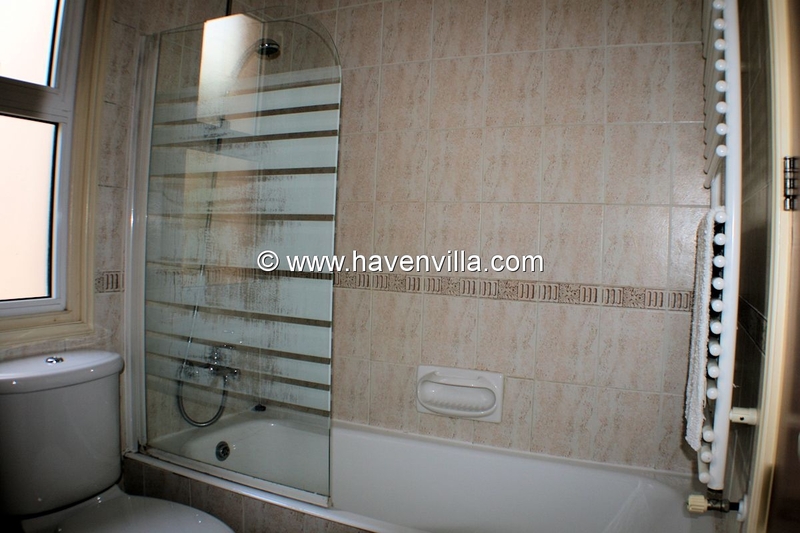 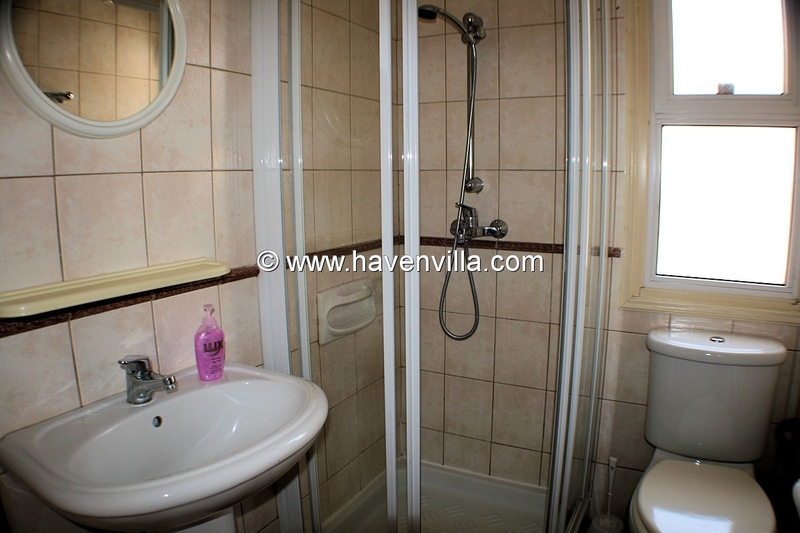 2 bedrooms each with 2 single beds sharing the family bathroom and the main bedroom with double bed and en-suite shower. 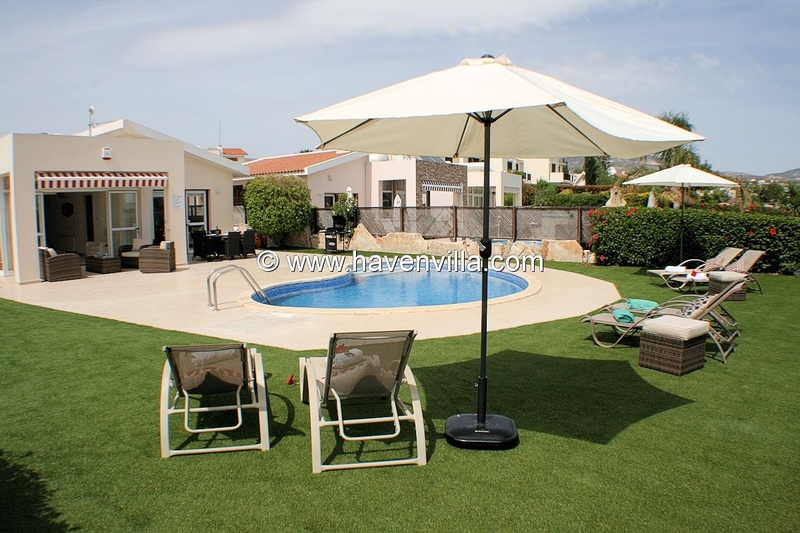 Outside the kidney shaped pool with sunbeds, umbrellas, coffee table, garden dining table with chair and a BBQ. 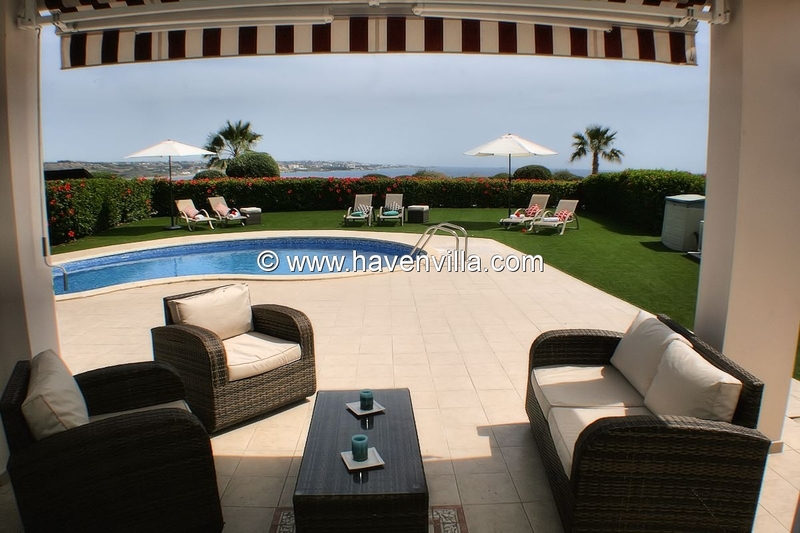 Unobstructed see views from the villa.